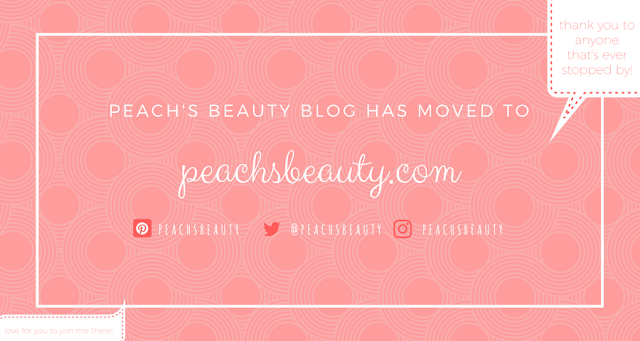 Peach's Beauty has moved to peachsbeauty.com! Thank you to everyone who has ever passed by my blog, read a review, watched a haul or get ready with me video, left me a comment, liked an instagram photo or thumbed up a video! I have moved over to a new site: peachsbeauty.com and I would love for you to join me over there to continue the fun! ABOUT FANCL | Their main sell is that they do 'preservative-free skincare'. Their lids are 'touch-free' to prevent bacteria and their products are packaged with a 30-day supply to keep their freshness during use. Interesting. "Amino Acid to remove dirt and sebum without removing precious moisture from your skin." "Suitable for all skin types, it is also selectively eliminates factors which lead to skin problems such as old protein which causes dullness and ageing skin." 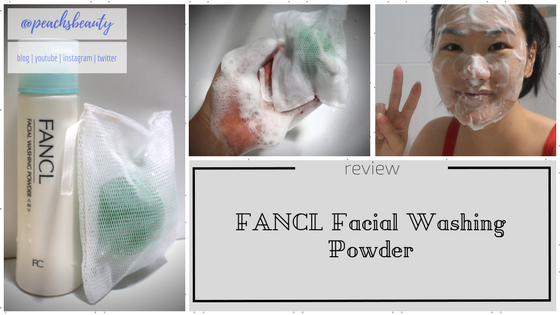 The FANCL Facial Washing Powder is the first product of its type that I've tried and it's probably the only powder cleanser that I've ever heard of (that's an actual cleanser and not a facial scrub like Dermalogica Microfoliant or Bobbi Brown Buffing Grains). I think it's also the first and only FANCL product that I've tried and didn't know much about the brand other than that it's good for sensitive skin as it's supposed to not have a lot of chemicals. I've learnt more since then (see above) and I'm definitely keen to try more FANCL products. The particular set I picked up came with the foaming tool however I read on the website that you can create the same soft foams by making a well with your palm and 'whisking' with your fingers in a circular motion. (See instructions below). The first time I used the product I was rubbing the foaming sponge back and forth and nothing was happening.. duh, because I was using it totally wrong. To be fair, the packaging was completely in Japanese so I couldn't read the instructions but when I finally looked up how to actually use the product I was amazed at how soft and how much foam was created. It was like soft foam for days! The foam on the skin feels soft but dense at the same time. 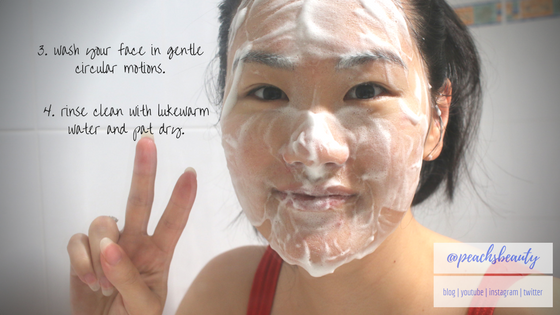 It feels like you're washing your face with puffs of clouds - extremely gentle but actually very effective. If you continue massaging the foam into your skin you cold be standing there for days but when you stop, the foam does start to disintegrate slowly. By the time I washed and wiped my hands to take the photo I had lost some of the foam so you can imagine how much I had to begin with. I'll insert an instagram photo that's a better representation of the foam (follow me @peachsbeauty!). I don't know the science behind it but I could feel the gunk coming out of my pores and when you rinse away the foam you're just left with smooth, really clean skin without the tight feeling. If I'm having a particular gunky day I'll go in with a scrub afterwards (I'm loving Aesop's Purifying Facial Exfoliant Paste right now!) for super soft and smooth feeling skin afterwards. 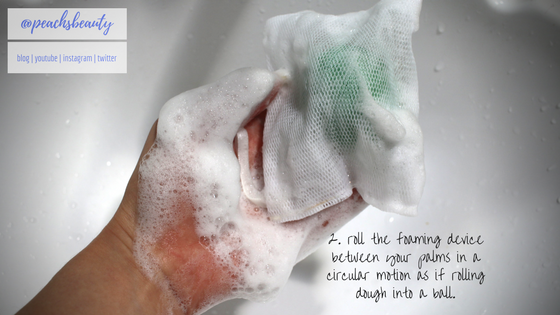 You can also definitely use this with the Clarisonic for a more deeper clean. I use the cashmere brush head so it's still gentle but more effective. I have personally never tried to remove makeup with this as I like to double cleanse by going in with a cleansing oil before hand. I really enjoy using this product and would recommend this for anyone who's in the market to try something different. I believe it's great for all skin types as it leaves your skin its normal state without drying or leaving any residue. It may take a little longer washing your face if you're having too much fun playing with the foam but otherwise it's not any more of a hassle than a traditional facial cleanser. 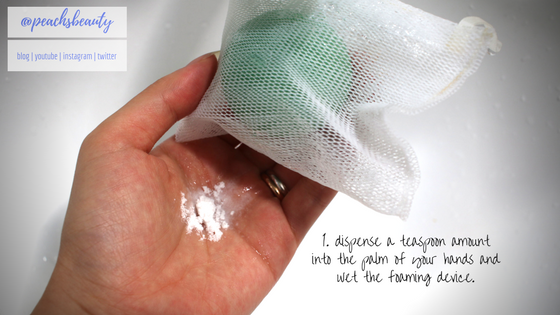 Have you tried the Fancl Facial Washing Powder or another similar product?! I'd love to hear your thoughts. Prices correct at time of publishing, however may change with exchange rates etc. All products mentioned were purchased by yours truly unless marked by (*). All opinions are 100% honest and my own. Affiliate links are noted. Thank you for your support if you choose to purchase from them. 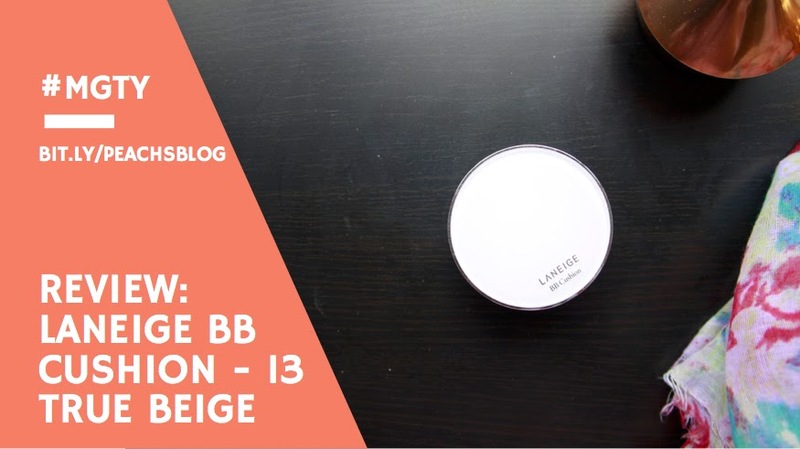 I mentioned in my 'What's in My Travel Bag' video [watch] that I'd be trying out the Laneige BB Cushion on my little Melbourne getaway and report back, so here's my review. I actually picked this up in Hong Kong because my boyfriend's cousin asked me to pick one up for her and being the true makeup junkie that I am, I popped one in the basket for me too (as you do). * Whitening: It does brighten the skin a little with its natural finish but haven't use it consistently enough to notice any long term whitening effects. * Moisturising: It does feel very moisturising and comfortable on my normal/dry skin and doesn't accentuate any dryness or flakiness at all. * Sunscreen: SPF50+ is always good for during the day. * Water Resistant: Can't really vouch for that. You will lose some coverage if you're sweating but it does wear off nicely and not in patches. * Soothing: You can feel a cooling sensation when I applied with the sponge provided and it feels pretty soothing to me. 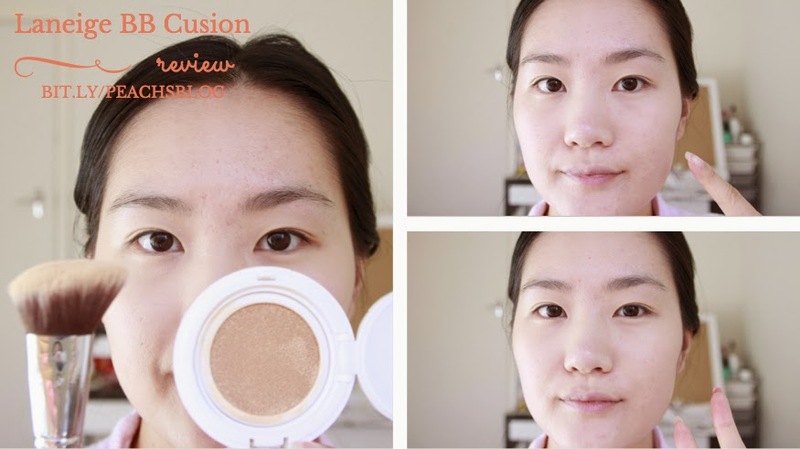 * Makeup Effects: It certainly gives a very pretty skin-like buildable medium coverage. Application... I tried two application methods with the BB Cushion: the sponge that it came with and a Kabuki style brush (Sigma F84 Angled Kabuki - bit.ly/1FDiEiM~ used in the demo below. I actually prefer the Sigma F80 Flat Kabuki - bit.ly/1I7C1TS~ as it fits perfectly in the compact). 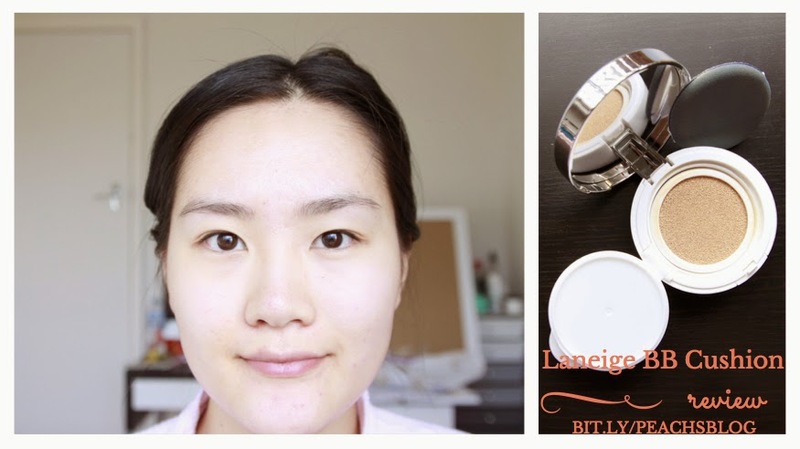 The image below shows my bare face and what the compact looks like inside (more on the packaging later). The top left photo below shows one layer of product on the left side of my face (your left) and the photo below shows two layers, as applied with the sponge provided. When applying, you'll notice that the sponge has a cooling effect on your skin which is awesome and unlike any other sponge I have ever used before. It's a shame that you only get one sponge per pack although it doesn't stain/absorb product so it does stay fairly clean. Still remember to give it a gentle wash every week or two as you would a normal brush. The coverage that you get from the sponge is pretty good, buildable medium coverage with two layers. That's about the amount of coverage I would expect from such a lightweight BB-type liquid product where your skin still looks like skin but the majority of your imperfections are no longer there. Some concealing can always be done if required. The top right and bottom right photo below shows one and two layers of the product respectively applied with an Angled Kabuki brush on the right side of my face (your right). The coverage is less than with the sponge as the brush will absorb some of the product. There is a lot more redness and imperfections showing through as the brush blends out the product too much to build decent coverage. My preferred and recommended method of application would definitely be the sponge. Wear... To be honest the lasting power is the only con with this product. I will admit that it wears off nicely, so no blotchiness or streaking but just more of my imperfections/redness showing throughout the day. I can get about six hours without setting but if I'm in a really humid or sweaty environment, all bets are off. It's also not transfer resistant so setting it probably is the way to go although the natural skin-like finish is very nice. The compact makes it very easy to touchup throughout the day if needed and it just depends on your skin-type whether you sacrifice longevity (setting) for the finish. You might find that on combination skin, it wears off within four hours so you would rather set than have to touchup every four hours. I'm probably making it sound worse than it is but it just happened to be fairly hot most of the days I tried this and for the other days the product actually lasted just fine on me. Scent... There is a slightly sweet floral scent which you'll notice during application but it doesn't linger and is actually quite pleasant. Packaging... 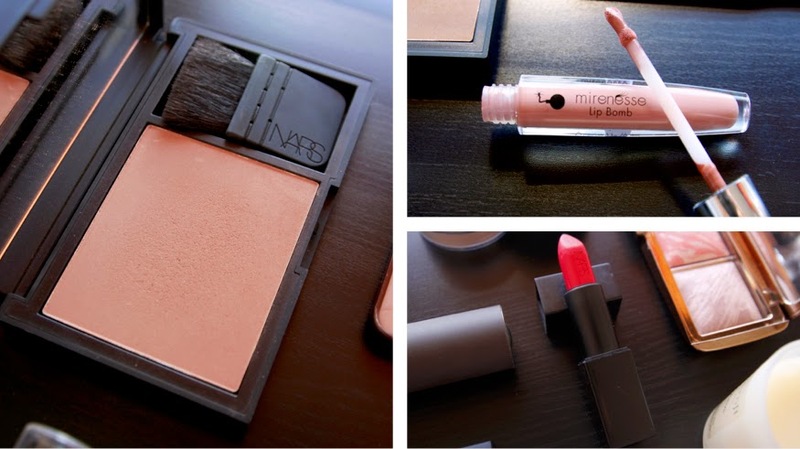 It comes in a typical refillable Cushion compact, although maybe a little bit bulkier than some. You get two 15g refillable cartridges, a compact and sponge per box. It has a nice big mirror and a lid over the 'BB Cushion' to separate the application sponge. The packaging is white with silver trim, which is very chic. Recommend... this for mostly people with normal to dry/very dry skin. I did not notice it accentuating or drying out my skin at all and it does feel fairly moisturising. This compact is great for travelling as you don't need anything else for applications/touchups, gives you enough SPF during the day and is so lightweight and comfortable to wear on your skin. I probably wouldn't use it as an everyday base at home just because it's not the cheapest BB cream/tinted moisturiser out there. As with all BB Creams, you can also use this as a primer/tinted SPF and go over the top with a foundation to add some extra coverage and increase longevity. 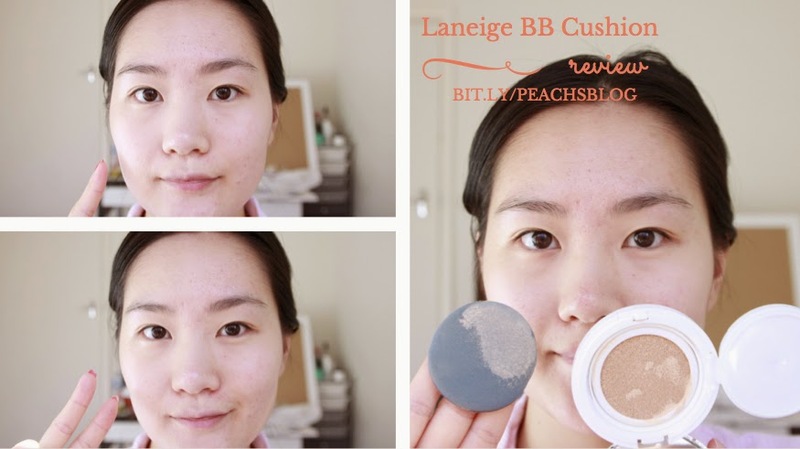 More about cushion/cooling sponge technology: bit.ly/1Ou3BPe - I found the most information in English on Laneige's Singapore site. Have you jumped onto the 'Cushion' bandwagon yet? Even my mum has! She was telling me all about her 'History of Whoo Cushion Foundation' like it was the best thing since sliced bread and I was like yeah.. I have one too. Hahaha, love to know if you've tried any cushion products! 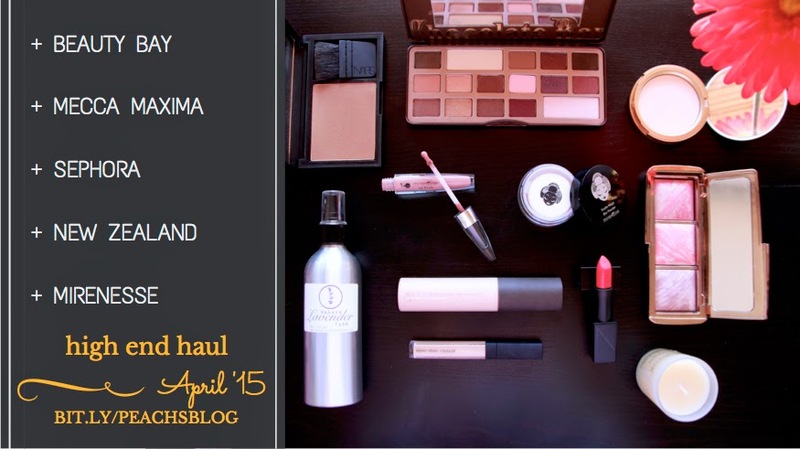 Every comment on my April posts counts as an entry into my birthday giveaway on 30.04.15! Prices correct at time of publishing, however may change with exchange rates etc. All products mentioned were purchased by yours truly unless marked by (*). All opinions are 100% honest and my own. Affiliate links are marked by (~). I always try to find the most affordable option with shipping to Australia. Thank you for your support if you choose to purchase from them. If you know me in real-like you'll know that I love reading and since this blog is all about my loves, where better than here to have a little bit of a book banter. This Book Banter series is all about sharing my thoughts on some books as a whole experience without getting into the plot or giving away any spoilers. Quick disclaimer: I don't look up reviews before I read a book so this is purely my first impressions. I will sometimes read reviews after I have finished to see if people felt the same way as me, but only if I'm torn about something. Image: Random House - I read on iPad. I usually chose the books I read from recommendations, or their cover (because yes, I'm that kind of person), or if I have read something from that author previously, which is the case here. I read 1Q84 by Murakami quite a while ago now so I might not remember the plot exactly but I do remember the overall feel of the book and it's a very interesting read that makes you question reality through the idea of parallel universes. It's technically a trilogy but it's often sold as one book and really should be read together. Despite the extraordinary length of the book, I did read it in one go and loved it, which brings me to Colorless Tsukuru Tazaki and His Years of Pilgrimage (Colourless), which is what I'm going to call it from now on because the title is just way too long. So, what did I think about Colorless? Like, 1Q84, Murakami makes you really contemplate the meaning of life events and the lessons that must be learnt. His writing can be described as captivating yet really gentle, which I feel is like a way of life for Japanese people. His ability to capture the emotional quality of the story is what sets him apart from any other author, in my opinion. Whenever I read his books, I can play out the entire story in my mind because that's what his writing encourages - to experience reading with all five senses. It may just be that I have a good sense of imagination or that I'm more of a visual person but even now when I think about 1Q84, I can recall vividly in my brain the way I pictured the characters and certain landscapes even though I may remember the entire plot. I hate endings (period) because I never want anything to finish - think books, tv shows, movies, etc. That is, if I've made it to the end of something it means I really enjoyed it but it also means I never want it to end. 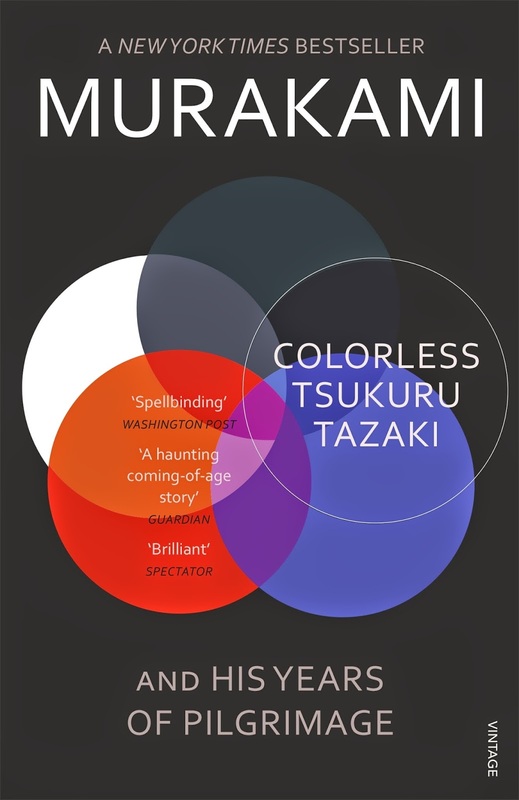 The ending of Colourless definitely left me wanting more, not just to know what happened to Tazaki and his conquest for love but the other conundrums and mystical scenarios which had been brought up along his journey. Unlike 1Q84 where you know to blame all the weird things on the parallel universe, there is no 'other realm' in Colorless so you're left thinking well what the blimy was the stuff with the old man about?? BASICALLY... Self-help book meets Inception. RECOMMEND... This for anyone whose after something a little bit different; not scared to dig a little deeper into the soul and the meaning of life; and open to learning a thing or two from a novel. QUOTE... "Never let fear and stupid pride make you lose someone who's precious to you." Let's talk haul, and not any haul - a high end haul. I've had these products for a few months now but as per my usual bad habit, I haven't gotten around to really playing with them until now. The silly season really made me a little silly with the moneys too so a little splurge was inevitable. I'm really happy with all my purchases so let me know what you'd like to see reviews of! I'd love to know if you've purchased anything lately! 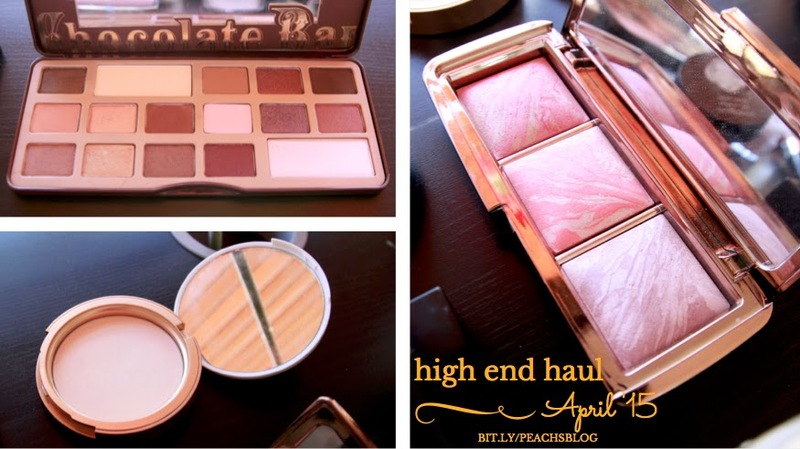 Every comment on my April posts counts as an entry into my birthday giveaway on 30 April.